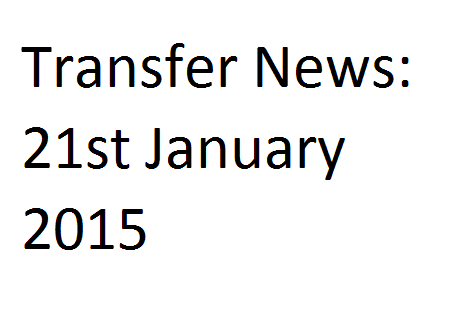 Transfer News: 21st January 2015 Manchester United striker Zaha set to leave, Sampdoria to sign Eto’o, Arsenal to land Paulista and Real Madrid to sell Illarramendi. Manchester United striker Zaha set to leave, Sampdoria to sign Eto’o, Arsenal to land Paulista and Real Madrid to sell Illarramendi, all in 21st January transfer roundup. Wilfried Zaha is ready to seal a permanent deal at Crystal Palace as he wishes to leave Manchester United. The Englishman has failed to shine at Old Trafford. Sampdoria are confident to sign former Barcelona striker Samuel Eto'o from Everton, according to SkySports. Manchester United are waiting for a reply from Juventus for midfielder Paul Pogba. The Red Devils submitted a €80million offer for their former player few days ago. Arsenal are closing on a deal for Villareal defender Gabriel Paulista, as per Metro reports. The deal around £20million has been agreed between both the sides. Talksport reported that Athletic Bilbao are set to beat Inter Milan for Real Madrid midfielder Asier Illarramendi. Madrid are already looking to bring Arsenal target Lucas Silva. Chelsea are reportedly keen to sign Fiorentina attacker Juan Cuadrado. The Colombian was once linked with Manchester United in the summer.